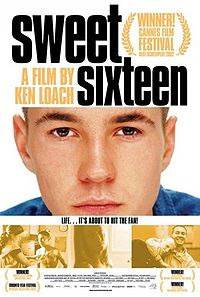 BBCi has Ken Loach's film Sweet Sixteen available to watch, but for this week only. Gritty drama focusing on Liam, a 15 year old boy from Greenock, in Scotland, whose Mum is in prison, and who dreams of making a life for them both on her release. The film charts his involvement with the only business that can make a teenager rich in working class Scotland. Well worth watching.